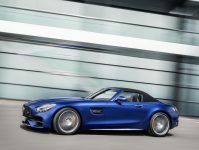 Mercedes-AMG unveils a new two-seater super-sports show car which takes Formula 1 technology directly to the road. 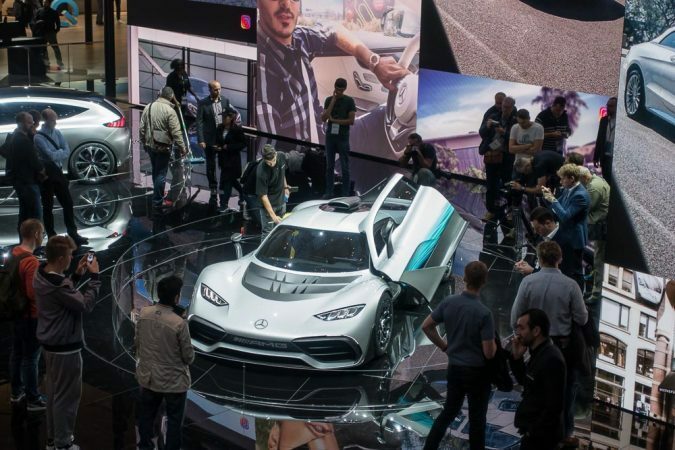 On the 12th of September at the International Motor Show in Frankfurt, Mercedes-AMG Project ONE was unveiled to the world. The new car holds the very latest, most efficient and fully-fledged Formula 1 hybrid technology. Becoming the highlight of AMG’s 50th Anniversary, it has amazing racing track performance whilst still being efficient and suitable for daily road use. The high-performance hybrid is said to produce over 1,000 hp. Furthermore, it can reach top speeds of 350 km/h and beyond. Creating Formula 1 technology that is suitable for the public to use is a world first. 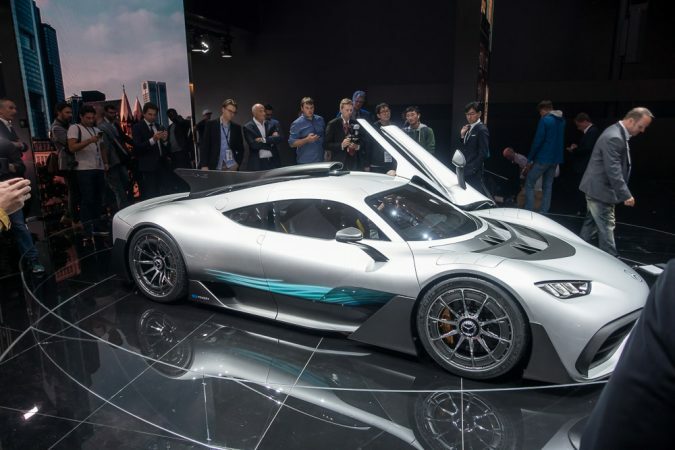 Project ONE is a high-performance plug-in hybrid system – realized in close co-operation with the motor-sport experts of Mercedes-AMG High Performance Power-trains in Brixworth. 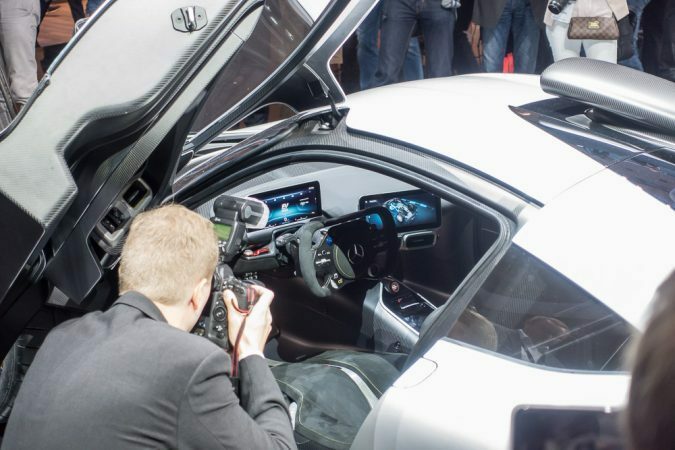 The system contains one hybrid, turbocharged combustion engine with four electric motors. One has been integrated into a turbocharger. Another is installed on the combustion engine with a link to the crankcase, leaving the two remaining motors to drive the front wheels. 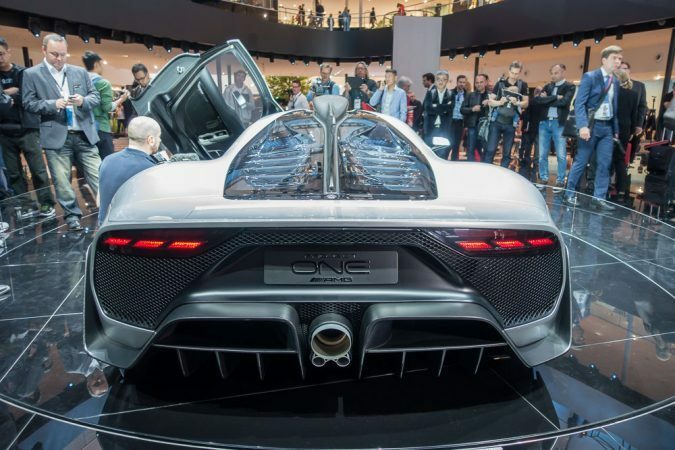 The Project ONE model contains a 1.6 litre V6 hybrid petrol engine with direct injection and electrically assisted single turbo charging. This comes directly from the Mercedes-AMG Petronas Formula 1 model. Pneumatic valve springs have replaced mechanical valve springs. As a result, you can achieve the high engine speeds direct from the race track. Plus, with the vehicle’s engine being ahead of the rear axle, it can reach top speeds of 11,000 rpm. This makes it a stand out car to any other on the road. 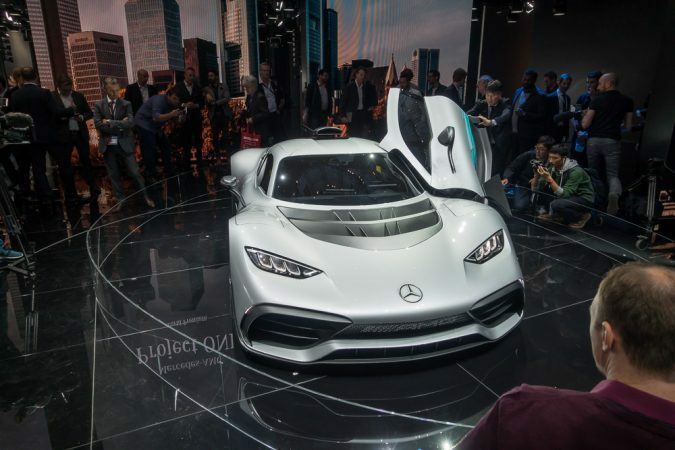 However, to ensure that the AMG Project ONE can withstand road use in the long term, it remains well below the Formula 1 engine speed limit. Mercedes-AMG is making the fantasy of road-ready Formula 1 motoring a certainty. Additionally, it’s being done using intelligent, unique technology to the best standard possible. Using Formula 1 technology within an MOT approved car is certainly an ambitious world-first, but it’s undeniably outstanding. The public can now experience a flavour of the race track in their everyday lives. Their daily commute can now be an exciting adventure. 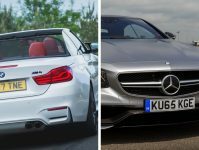 What’s more, following AMG’s unveiling it is now closer within their grasp. Download your free Mercedes wallpaper here.